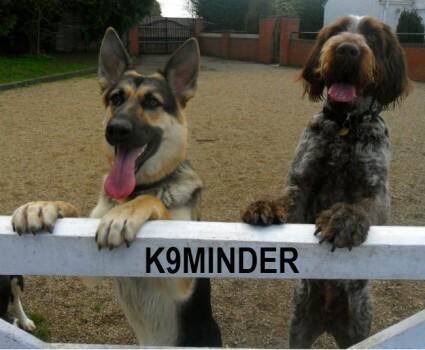 K9minder I Dog Day Care I Dog Agility I Cheltenham | Dog Day Care. Dog Agility Classes. Cheltenham. Dog Day Care & Dog Agility! We offer a unique dog Day Care service. Our aim is to look after your dog while you’re away from home so you don’t have to worry. We understand how important pets are, and that’s why you can rely on us to look after yours knowing we’ll make their stay with us a happy one. We don’t lock dogs away in kennels all day, instead they have the freedom to play and socialise together – so much so that you might find they’ll be a little tired when they get home! Week days we open our gates at 7am and ask that dogs are collected by 6pm. K9 Agility offers both group and individual lessons in Cheltenham, from complete beginner, through to intermediate and competitive level. For more details please click our agility page! We are fully insured, vet approved and licensed by Tewkesbury Borough Council.